Obituary for Jack K. Gettman | Hunter Funeral Home, Inc.
Jack K. Gettman, 83, of Mendon passed away on Sunday, February 11, 2018 in Barnes Jewish Hospital in St. Louis, Missouri. Jack was born on December 12, 1934 in Burt, Iowa to the late Henry and Florence (Gilbert) Gettman. He married Betty Marie Groen on August 12, 1956 in Nashua, Iowa. Betty passed away on January 6, 2007. Surviving are; five children, Terri (Mark) Woodward of Denver, CO., Randy (Ginger) Gettman of O’fallon, Mo., Monica (Larry) Foster of Quincy, Jackie (Steve) Scholfield of Crocker, MO., Kim Gettman of Mendon; nine grandchilfren, Lucas (Jeanette) Woodward of San Diego, CA., Jake Woodward of Burlington, KS., Greg (Andrea) Gettman of St. Charles, MO., Sam (Malissa) Gettman of Defiance, Mo., Bradley Scholfield of Crocker, MO., Brandon Scholfield, Crocker., Mo.,Bethany Foster of Longmont, CO., Rachel Foster of Davis, CA., Kate Foster of Quincy; six great-grandchildren, Liam and Grayson Gettman, Anthony Gettman, Tennessee and Savannah Gettman and Jalyn Woodward. He was preceded in death by; three sisters and one brother. Jack was a 1952 graduate of Burt High School in Burt, Iowa. He worked for National Byproducts before working for the Village of Mendon and later, retiring from the Clayton-Camp Point Water District. At one time, he owned and operated his own rendering company. He was one of the first volunteers with the Adams County Ambulance Service as an E.M.T., and was a former board member for the Adams County Housing Authority. 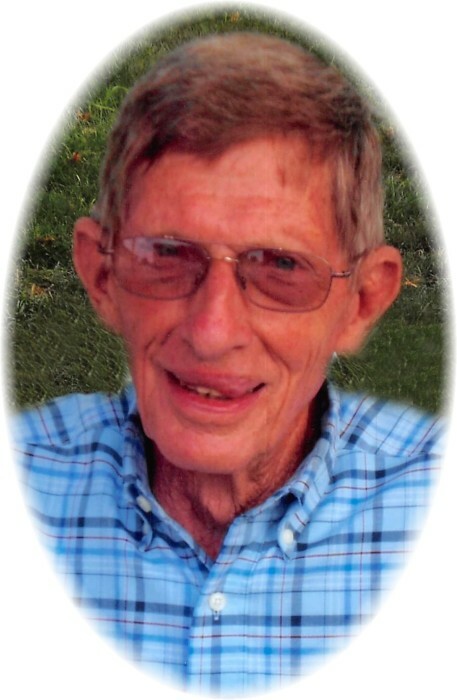 Jack was a very active member of the Mendon Congregational Church since 1971. He enjoyed cars, snowmobiling, hunting, reading and visiting with people. A Celebration of Jack’s life will be 11:00 A.M. on Saturday, February 17, 2018 in the Mendon Congregational Church in Mendon with Pastor’s Larry Smith and Bruce Willard officiating. He will be laid to rest in the Mendon Cemetery in Mendon. Visitation will be from 5:00 P.M. until 7:00 P.M. on Friday, February 16, 2018 in the Hunter Funeral Home in Mendon. Memorial contributions have been suggested to the Mendon Congregational Church or the North Adams Home. You are invited to share memories of Jack and leave condolences at www.hunterfuneralhomes.com.